Crush the Tennis Biscuits and combine with the melted butter. Press into a greased springform tart case. Whip the cream and then beat in the caramel. Sponge the gelatine in 1T boiling water and heat in the microwave until dissolved. Stir into the cream and caramel mixture and pour over the tart base. Sprinkle the Peppermint Crisp over and place in the refrigerator to set. 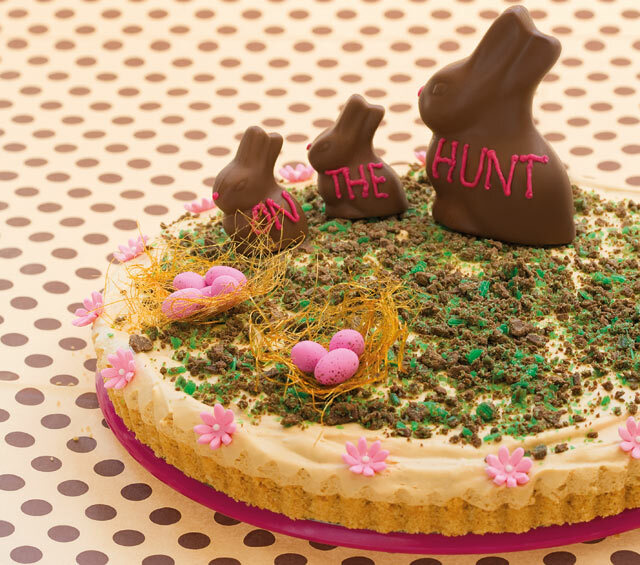 Decorate with spun sugar nests, mini eggs and chocolate bunnies.